Many CSS Frameworks have been introduced in recent years, some are now quite popular. The advantages (fast development, cross-browser compatibility, table-less design, etc.) are exciting, but the disadvantages (bloat, lack of flexibility, lack of what is already available in css) are equally compelling. Framework authors discuss the similarities and differences. 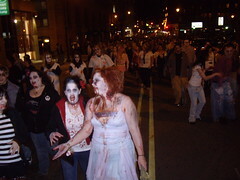 Cars were trampled, smashed, slapped, and covered in blood as an official count of 3370 people slowly walked as zombies through the streets of downtown Grand Rapids on October 30th from 9:30pm to 10:00pm. All different types, styles, and colors of zombies appeared out of no where as they collected at Rosa Parks Circle to attempt the World Record for the Largest Zombie Walk. The previous record was held by Pittsburgh with a measly 1375 people! Now that Grand Rapids holds the world record we’ll have to see what sweet things our city can do next! As I entered my apartment I had but one thing in my hand, a package of bank checks. 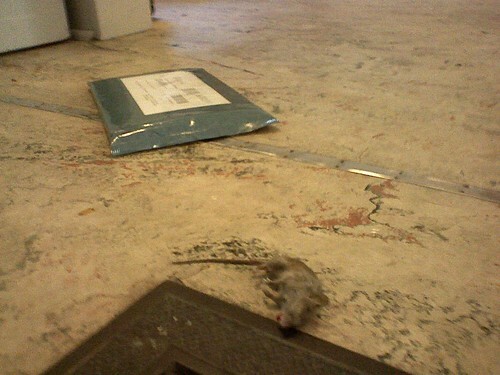 There, on the floor stood the deadliest animal known to man: a mouse. Survival instincts had show me in previous attempts with hideous creatures, such as flys, that all creates can be squished. 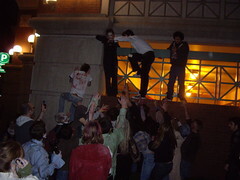 In one quick motion I lifted my arm, released, and my package of check books quickly became my only source of survival. A quick slap and laying on the floor was my victor. He didn’t even stand a chance to the precision of my deadly throwing arm. May this go to show all mice in future generations: don’t enter my lair! Dan: he seem a little energetic. Dan: lol… you were not ever energetic. A recent project I just completed for Judith Snow allows you to post a confusing everyday question and have a response in less than 24 hours. Judith Snow, M.A. is a psychotherapist, certified addictions counselor in private practice, and published author residing in Grand Rapids, Michigan.